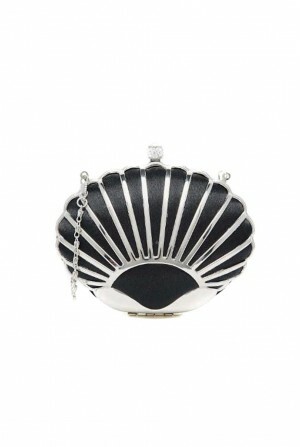 We’re going mad for dark deco design and this Black Shell Clutch bag brings an elegant flapper style to your favourite party looks. 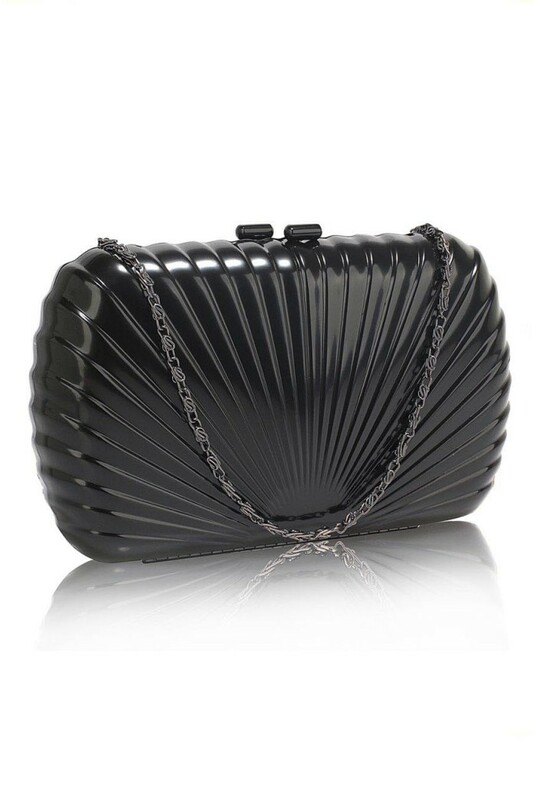 With the ever so popular Art Deco sunburst detail this vintage style handbag just oozes elegance and jazzes up any party outfit!This Art Deco Handbag also makes event styling easy, with a detachable handy shoulder strap for an outfit switch in seconds! Two bags in one - who can resist? The matte finish makes this flapper bag the perfect contrast for lighter toned dresses whilst it's also gorgeous with a black sparkly flapper dress. 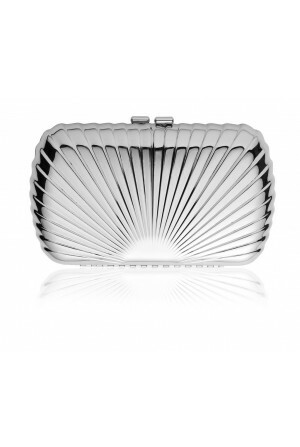 Practical at the same time, you can fit in all of your essentials into this metallic clutch bag - including your phone and all the red lipstick you need! 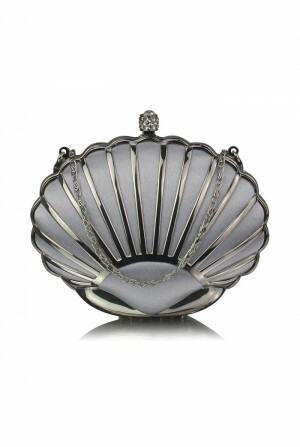 This evening shell shaped clutch bag in black features Art Deco scalloped detailing and comes with a detachable strap. 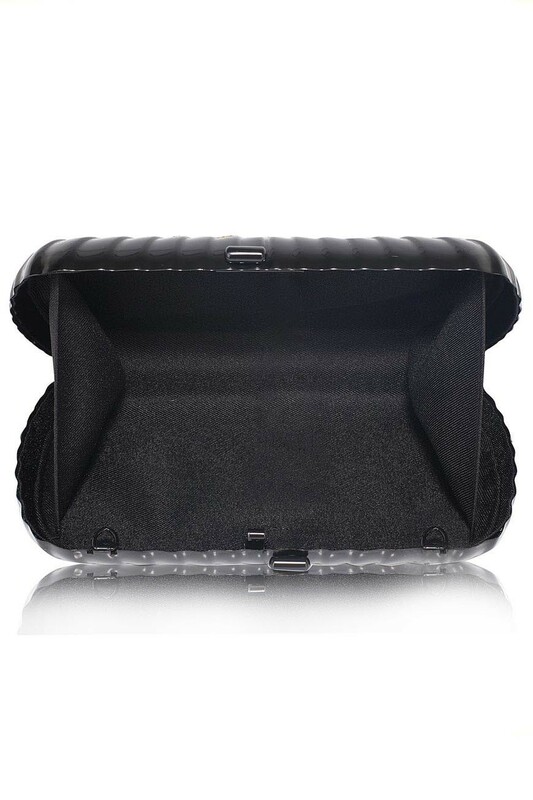 Measures 18.5cm x 10.5cm and will fit an iPhone 6.